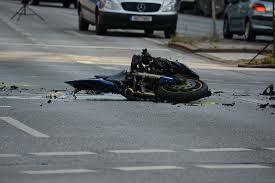 Brooklyn, NY (October 6, 2018) – Police said that a motorcyclist died in a serious motorcycle accident that took place today, October 6, when he collided with a vehicle at a Brooklyn intersection. The accident happened around 2 p.m.
Police said that, at the time, the 39-year-old biker was driving past the corner of Broadway and Union Avenue in Williamsburg. He suddenly smashed into a vehicle for reasons that police are still investigating. The motorcyclist was quickly rushed to the Woodhull Hospital where he died due to his injuries. His name has not yet been released. The driver of the vehicle remained at the scene but was taken to the local precinct for questioning. As of now, charges have not yet been filed. We would like to firstly extend our condolences to the family and friends of the man who lost his life in this serious motorcycle accident. We hope that you are able to work through the emotions of this case and move forward during this difficult time. You have our full support. Many accidents involving motorcycles take place on our New York roadways every year due to negligent actions by vehicle drivers. This is mostly due to the fact that drivers are not always on the lookout for motorcyclists on our roadways. These accidents can easily happen on highways, at intersections and more due to reckless actions such as drowsy driving, speeding, drunk driving, and more. If you have been involved in a New York accident or lost somebody in one of these accidents, you should always note that you have rights in your case. If a loved one was a victim of negligence in one of these accidents, we want you to know that you have rights and protections as you move forward with a wrongful death case. At Hach & Rose, our attorneys work closely with you to help you receive compensation for aspects you deserve as you grieve such as medical bill repayments, lost wages, funeral costs, and more. If you have lost someone in an accident, please do not hesitate to reach us for the help you deserve at 212-779-0057. We are waiting to hear from you.